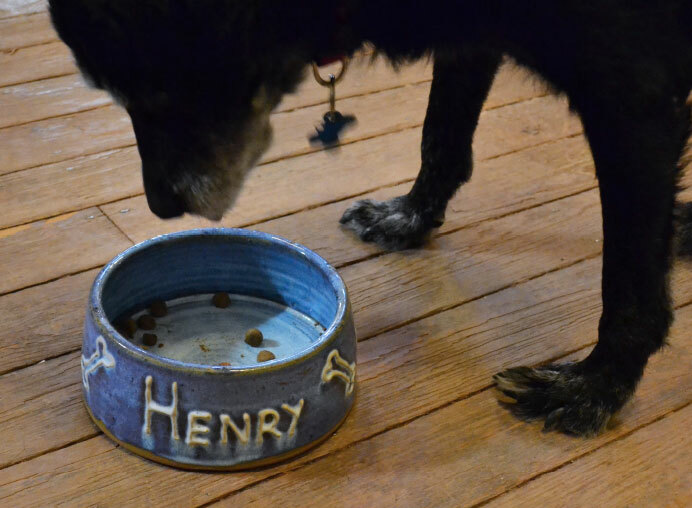 We undertake a large variety of commissions, ranging from items to mark a special occasion such as a Golden Wedding to a personalised bowl for your pet! We can also produce multiple items either engraved or featuring a small plaque – for example, we currently supply personalised tankards for a local microbrewery. Read on to see more about the full range of items we can provide. 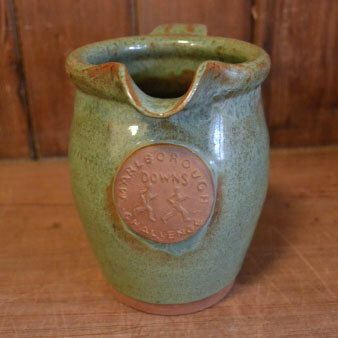 Commemorate your special event in an original way with a commission from the White Horse Pottery! We have produced commemorative mugs for local running events or single memorable occasions such as the Queen’s Diamond Jubilee. We can also produce medals, platters, goblets (in fact any item from our range) inscribed with your message. Please contact Trevor to discuss your requirements well in advance of your event as these items need a long lead time. 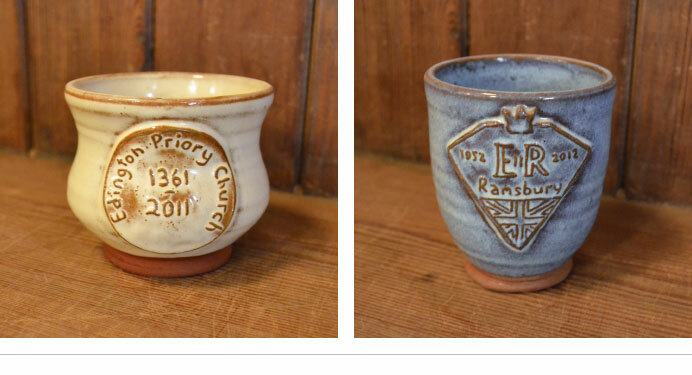 What better way to mark a landmark birthday or anniversary than with a personalised piece of commemorative pottery? Trevor can personalise most items in the range perhaps with a special message or simply a name. 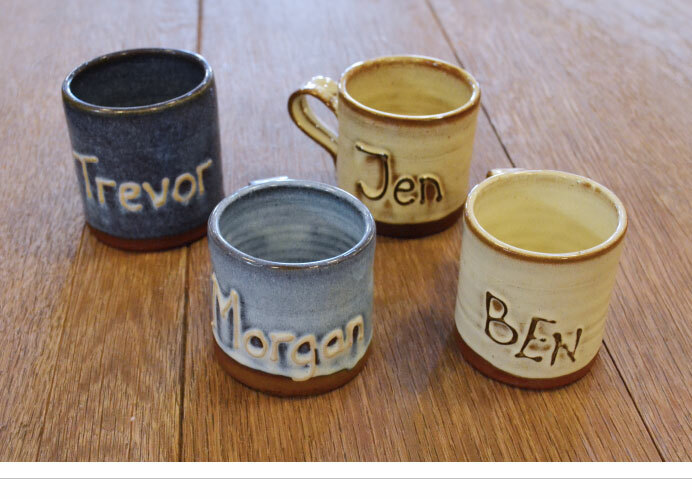 How about a personalised mug for everyone in the family as a unique gift idea? You can order these from our online shop and specify at the Checkout what you’d like the message to be. Please note, personalised items may need a longer lead time, so contact the Pottery for further information to avoid disappointment. If you live locally you may have spotted some of these gracing a number of properties in the area. 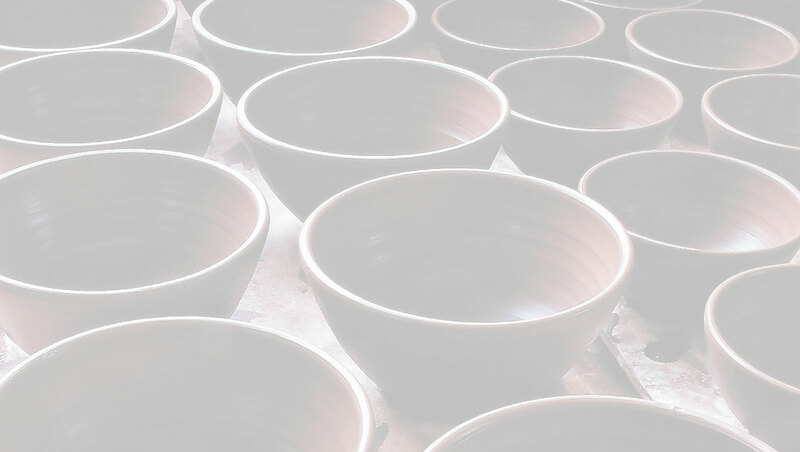 Trevor can produce a variety of shapes and sizes, all in the signature White Horse Pottery glazes. 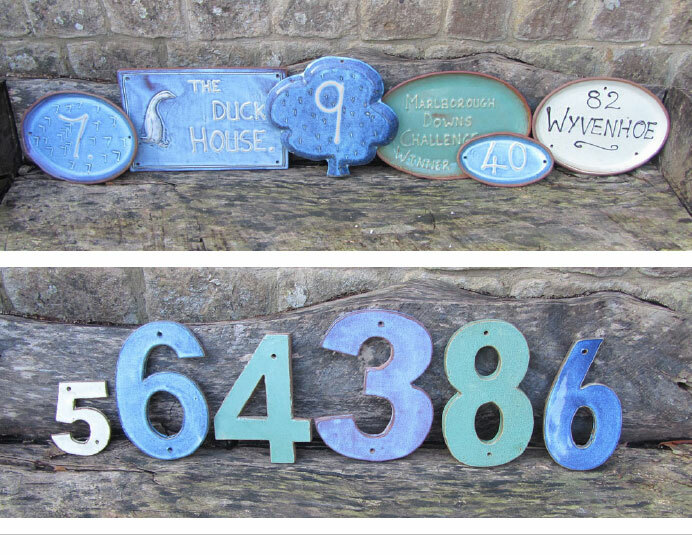 A great way to put your own stamp on your home, these also make perfect housewarming presents. Not forgetting our four legged friends, you can treat your dog or cat to one of our pet bowls! They are very robust and dishwasher safe. We can supply a range of sizes and can also personalise your item with your pet’s name.